Cycling Fortress Lux Profi. Installation, option 2. 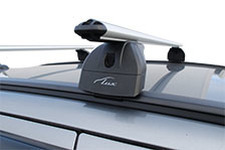 Today the drivers think more and more what car roof rack to choose. This question seems simple at the beginning, but it is still confusing because the cars are so different. And what is right for one, might be wrong for another. How to choose the right roof rack? It is worth to mention that today you can find a great variety of such products in the shops. Actually, the driver can decide himself what is really interesting and important for him. But if you want to buy a car roof rack of high quality, you should consult the specialists that would give you all relevant recommendations. It is interesting that currently there is a huge number of competing companies at the market. But only a few offer a really great cooperation and high-quality products. Thus, our company is a leader in this branch, because our main focus is to meet the demands of our customers. And this is the recipe of our success. * excellent quality of products. We offer to all our customers options with a really good quality. And those who use our products are satisfied with the results of our cooperation. We have only high-class specialists. We perfectly understand that nowadays the market relies upon skilled professionals and employ the staff that is really great. All products that we offer are assembled in Russia, with our price for similar products often lower than the price of our competitors. This can be achieved by the cooperation with direct suppliers. We avoid agents and so significantly save not only our own money, but also the money of our customers. And we don’t compromise the quality that always remains high. 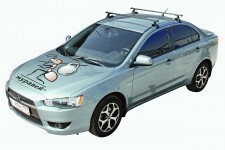 If you need an inexpensive car roof rack system of high quality, we are your first address. Our specialists will advise you professionally on our range of products and help you to choose the option that would be the best for you. The leading professionals in our branch recommend our company. We have a leading position in our sector, and this is for good reasons. Please feel free to contact us! 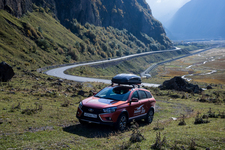 It should also be noted that in our catalogue you can find the roof rack systems for all popular car models – both for domestic (VAZ, UAZ, GAZ) and for foreign cars (AUDI, BMW, Ford, Toyota, Opel etc.). © 2018 ROOF RACK SYSTEMS.